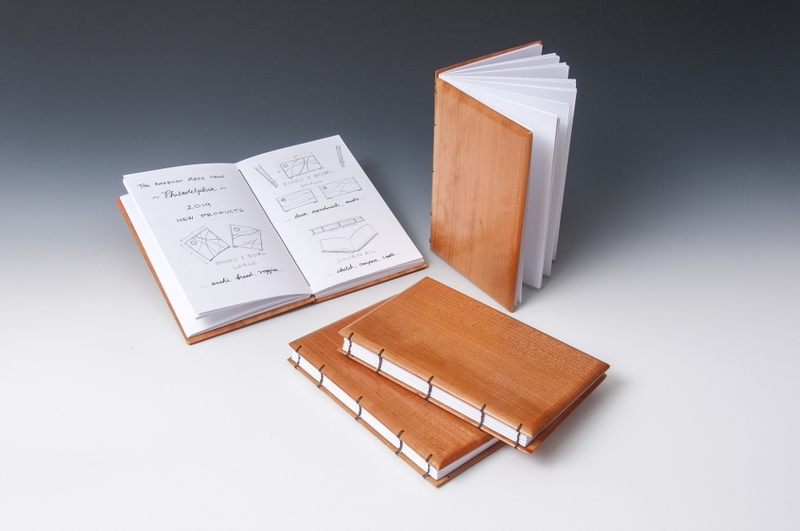 ThomasWork journals are handmade with traditional methods. Appalachian hardwood covers are milled from sustainably harvested lumber, offering a firm writing surface. Each journal is filled with 140 pages of 25% cotton, archival quality paper. The open-spine, Coptic bound process allows each book to lie completely flat when opened. Coptic binding dates back to the 2nd century as record keeping transitioned from scrolls to papyrus pages. Each ThomasWork journal is sewn by hand with one continuous stitch, nine feet long, in this time-tested tradition. $70.00 each. Customize your own journal with wedding dates, etc for $99.00 each. Please inquire to order.